Remember way back in 2009? Times were simpler then: Pittsburgh's Steelers were Super Bowl champions; Tiger Woods was caught having an affair; and I was playing a lot of Rock Band. You probably were too. Many millions of you were, anyway, and the plastic peripheral market was booming. In a few short years, the world went from zero to dozens of plastic guitars, keyboards, mics and drums per household, all in the name of games like Rock Band and Guitar Hero. House parties quickly turned into Rock Band parties with surprising frequency. It was only another few short years before those games, and the peripherals they required, fell off a cliff. That was 2010, when Rock Band 3 launched. 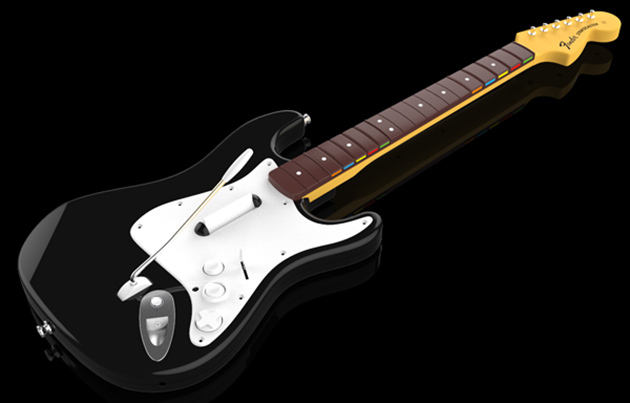 It's been five years, and the world is apparently ready for more Rock Band. The folks behind the original Guitar Hero and Rock Band franchises are back in the development seat and bringing Rock Band 4 to Xbox One and PlayStation 4 later this year. All your previously purchased content and any songs you ripped from previous Rock Band games to sequels will work in Rock Band 4, from Xbox 360 to Xbox One and PlayStation 3 to PlayStation 4. It's 2,000-plus songs. No joke. Harmonix is trying very hard to make your old peripherals work on current-gen game consoles -- despite the fact that there's basically zero compatibility between last-gen and current-gen game console peripherals. "We're working very closely with Sony and Microsoft to do everything we possibly can to make that possible," Harmonix CEO Alex Rigopulos told me. Yes, there will also be new peripherals (guitars and drums at least). Yes, they will continue to be made by Mad Catz. The plan is to make Rock Band 4 and that's it; the game is a platform, not something that's going to receive annual (or semi-annual) sequels. "At this point, in addition to DLC [downloadable content] expansions, we're thinking of Rock Band 4 more as an ongoing platform model where it can incrementally accrete new functionality over time instead of doing big $60 title releases," Rigopulos said. That out of the way, there's very little to know about Rock Band 4 right now. We've got some hints, via Rigopulos, through veiled language. 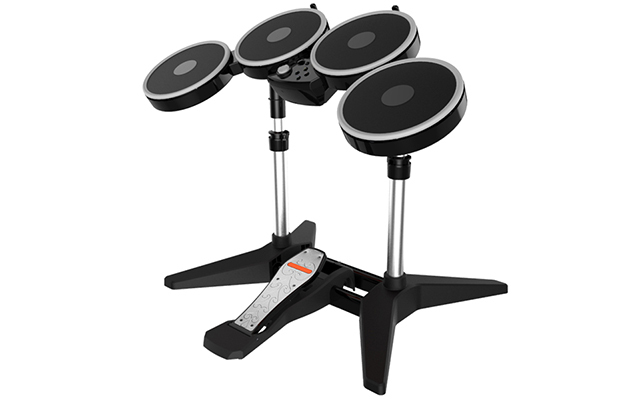 He said there are three factors to the return of Rock Band 4: Enough new game consoles are in homes (check), a "steady drum beat" of requests for more Rock Band from fans (check) and a creative vision for the game (um). That last one is the elephant in the room that Rigopulos won't talk about. Harmonix has to save something for the big gameplay reveal, right? "In addition to migrating the existing catalog of songs forward, it's additionally our intention to be releasing DLC on a rolling basis. Much as we did in the last generation. I can't be too specific about that yet, but that model really seemed to work for our audience and it's something we'd like to replicate to the greatest degree possible next time around." Notice that he's not referring directly to Rock Band Network, but to weekly content releases. The plan for Rock Band 4 is to launch a single platform and expand with weekly content releases and full-on expansions. Rock Band Network could return, but not from the jump. "At this point, it's not even clear whether Rock Band Network is something that we will return to. I certainly hope that we do, in time, because in its heyday [it] was fantastic. But we have other more pressing near-term priorities in just getting the core DLC business up and running again. Then RBN is something we can come back to in time." Rock Band 4 isn't Harmonix's attempt at recreating the music game phenomenon that burned bright and faded fast five years ago. It's an attempt to resurrect a powerful franchise, albeit one that requires you to buy plastic toys and make space in your home for them. If Rock Band 4 is bought and enjoyed by "a devoted core of enthusiasts," that would be enough, Rigopulos said. "A relatively smaller number of Rock Band enthusiasts -- give them a great experience -- and we can certainly have a very sustainable business that way with a fraction of the audience who was playing before." Harmonix is self-publishing Rock Band 4 on both Xbox One and PlayStation 4, and the plan is to launch the game this holiday on both platforms. Cambridge-based Harmonix will be talking more about Rock Band 4 this weekend at PAX East in Boston, and we'll assuredly learn more this June at E3 2015.